... I'm still drawing comics. 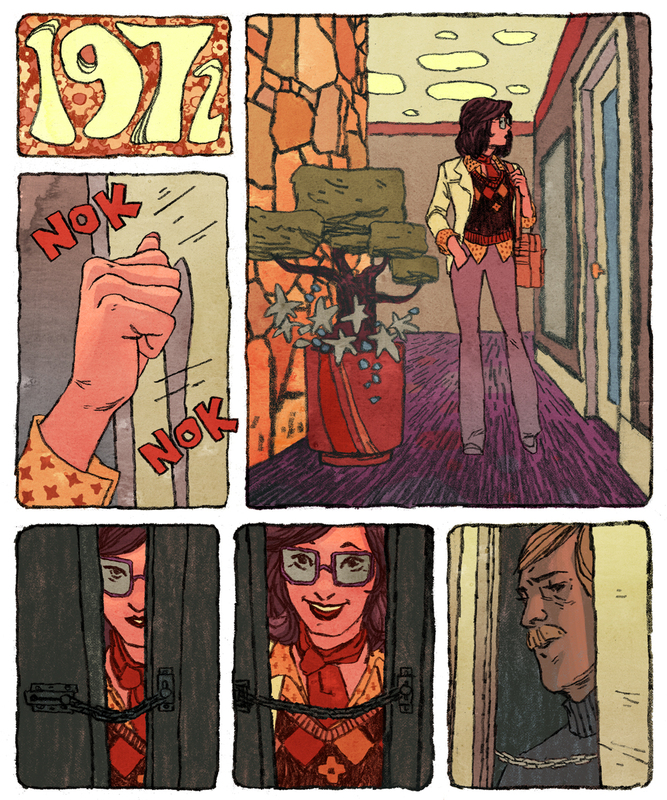 In other news, I have a new fantasy in which I live in the 70's and I draw romance comics full time. And wear plaid leisure suits. And meet Lynyrd Skynyrd. And Alex Toth is rude to me about how his comics are so much better than mine. ...It's a very specific fantasy. I feel like the seventies has just been dormant for the past four decades waiting for your color sensibilities to come along and give it the treatment it deserves. I really love the feel of this. The color is great. This style is well-suited for the 70s. Lookin' good! I love that stone wall! That is also my fantasy! Or, that I am a teen with unlimited allowance to buy all the romance comics fresh of the newsstands! I agree with Will that mustache is inspiring!